Da Vinci paints are exciting, intense, and rated among the best in the world for quality. The paints are permanent, with the highest tinting strength and pigment concentration available, and a creamy consistency for smooth, easy dispersion with water. 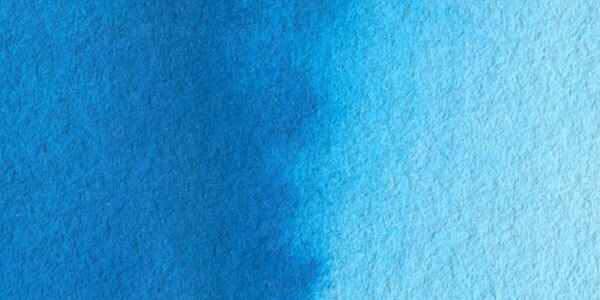 Phthalo Blues are pure and clean primary blues with superior covering power. They have a very high tinting strength and tend to overwhelm other pigments, but if color strength can be controlled, they make predictable mixed colors. In oil form, blues are very deep and slow drying. 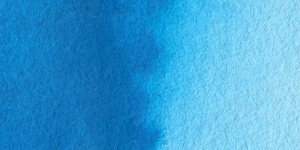 When mixed with other colors or if chlorine is added, Phthalo Blue quickly tends towards green. When using alone, mix with some white, as Phthalo Blue can be semi-transparent and almost black on its own. It is among the most compatible of modern colors with mineral colors and is considered more reliable than Prussian Blue, while sharing the same physical and color properties. Phthalo Blue is a good color for glazing. Bocour Blue, Cyan Blue, Helio Blue, Heliogen Blue, Intense Blue, Monastral Blue, Phthalocyanine Blue, Rembrandt Blue, Thalo Blue, Winsor Blue.  Da Vinci is a trademark of the Da Vinci Paints Company.